Travel Cost Loans Up To $10,000 | Fast Approval | Apply Now! Travel Cost Loans From Jacaranda Finance | Apply Today! Are your feet itching to explore? Our travel cost loans will take you there! They say that travel is the only thing you buy that actually makes you richer. Although, it may not make you rich in money. However, it does make you rich in experience, adventure, and fun. You may not be able to buy your week’s groceries with these things. But, at least you’ll have a good attitude. When things get stressful at home or work, or your feet are itching for some adventure, why not plan yourself an exciting trip? You could even apply for one of our travel cost loans to get you there! So, while travel may make you richer, many people tend to think that travel is only for the rich, to begin with. Well, we are here to tell you that it’s not. Everyone deserves to take a break from the bump and grind of everyday life and experience the world outside of theirs. It’s just that sometimes we need a little help paying for the travel cost. That’s what we’re here for! Thinking about Fiji family holidays? Maybe we can help! At Jacaranda Finance, we believe in inclusion for all Australians. Therefore, we’re all for helping our fellow Aussies get the break they deserve! Provided, you meet our application criteria and apply within regular working hours, we’ll be able to get you an outcome on your application quickly. So, what are travel cost loans? Essentially, a travel cost loan is simply a personal loan that the borrower uses to cover any travel costs they may not have the cash to cover initially. Travel loans from Jacaranda Finance range from $300 to $10,000. You can repay our loans over a breezy 12 to 24 month period, depending on the loan amount. The beauty about our travel cost loans is that you can use them to cover the last few expenses of your trip. Or, you can use them to take care of the bigger costs. Therefore, you don’t have to stress about your finances while you’re supposed to be relaxing. At Jacaranda Finance, you can apply for travel cost loans from $300 all the way up to $10,000. Plus, you can repay our loans over a 12 to 24 month period, depending on the loan amount. Therefore, if we approve you and you accept our terms, you could go on your trip and not have the added stress of worrying about where you’ll get the money to pay for that much-needed break. We’ll always do an assessment to ensure that taking out a loan is the right solution for you. Plus, we’ll ensure that you can reasonably afford to make repayments without getting into unnecessary financial difficulty. How do Jacaranda Finance travel cost loans work? Well, as we are 100% online, you can apply for travel loans from the comfort of home. Just head to our website. Then, you can use the holiday loans calculator at the top of the page to get started with your application. From there, you’ll need to select how much you want to borrow and enter your repayment period. Here, it’s important to note that we offer 3 types of holiday loans. This may help you decide which amount is right for you. At Jacaranda Finance, you can apply for small unsecured personal loans from $300 to $2,000. Medium secured loans from $2,001 to $4,600. Or, you can apply for a large secured personal loan from $5,000 to $10,000. Furthermore, if you’re applying for a medium or large secured loan, you’ll need to attach an asset for security. When you apply, we’ll ask you to provide some details of your car, motorbike, caravan or boat. However, if you are applying for a small unsecured loan under $2,000, you won’t need to tie an asset to it. So, these are just things to keep in mind when submitting your application. This is because it may impact the amount you apply for. So, what can I use my travel cost loan for? How much do your travel cost loans cost? As we offer 3 different types of travel cost cash loans, each type has different fees and charges associated. *These comparison rates are true only for examples given and may not include all fees and charges. Actual loan costs are subject to each individual application and will be outlined in your loan contract. How do I know if I am eligible for travel cost loans? So, if you can tick all 4 of these boxes, you are one step closer to us approving you for travel loans. You can apply for travel cost loans completely online which really speeds up the whole process. We’ve made applying for a loan quick and easy. Therefore, you can get back to what’s important – planning your holiday. Our application process could take you just minutes to complete. Once you have submitted your completed application, we will get to work assessing it. This could take just 60 short minutes. However, if you have applied in normal business hours or we require any additional information, it will take longer. Once we have finished assessing, we will get back to you with an outcome. If we approve you, someone from our team will contact you to finalise the terms of your loan. Then, you’ll receive a loan contract to read and accept. As soon as we receive your signature on your contract, we’ll transfer the funds to your nominated bank account. The amount of time it takes for the cash to reflect in your account will depend on the transfer policies of the bank you are with. Most of our clients receive their cash loans within a couple to 24 hours. Can I apply for travel cost loans if I have bad credit? Well, we encourage anyone who is in need of some help with their travel costs to apply for our nearly instant cash loans Australia. When assessing applications for fast loans, we like to look at much more than your credit score. We use the latest in safe banking technology to obtain a read-only copy of your bank statements so we can take a look at your overall financial situation. So, while we do conduct credit checks, we’ll also look at your income, expenses, spending habits and overall relationship with money and you will always be given a fair go, bad credit and all. We assess loans to ensure that applicants can reasonably afford repayments and have demonstrated that they have paid off loans or accounts in the past. Although, we can still consider an applicant who has a good credit score or history and age to credit file if no previous demonstration of repayment history. Your best bet is to just apply, regardless of your credit score, and let us take a proper look. The same goes if your primary income is from Centrelink payments. We will always give you a fair go. So, as long as your Centrelink payments are regular and you have been receiving them for the last 3 months, you can still apply for our short term loans online. How do I repay my travel cost loans? basically, repaying a travel cost loan can’t really get much easier. Therefore, our short-term loans online are perfect for covering your travel costs as they’ll be paid off before you know it and you can start planning your next trip! When you read your loan contract, you’ll see that we have a set a day for your payments to be directly debited from your nominated account for the life of your loan. We generally set this day to match your pay cycle. If you wish to change your payment day, please call us on 1300 189 823 as we sometimes allow changes to be made depending on the circumstances. This all means that you don’t need to worry about remembering to make your repayments and go into full panic mode every time you think you’ve missed the due date. We will set up for the payments to be deducted automatically from your account. Therefore, designed to take another weight off your chest. Then, once you have paid off your loan, the repayments will stop automatically. The only thing you need to do is make sure you have enough cash in your account to cover the repayment amount. As you can tell, we’ve made our repayment process as simple as it could possibly be. What happens if I can’t make a repayment on my travel cost loan? We’ve been in the lending game for a while now, so we know how easy it is for our finances to get on top of us instead of the other way around. Therefore, if you start to struggle with your repayments, or you know you’re not going to be able to make your upcoming payment, please let us know as soon as possible. If you inform us of a change in situation at least 24 hours before a repayment is due to come, we may be able to work with you to come up with alternative arrangements. We want to help your financial situation, not hinder it even more. Therefore, we never want to put you in a position where you’re not able to cope financially. What about if I stop paying my travel cost loan repayments completely? If you stop making your repayments without contacting us first, there are a number of avenues we may take. However, if we are unable to get in touch with you, we may pass your case onto an external collections agency. This is the last resort, as we will be required by law to register a default on your credit file. Furthermore, this default would stay on your file for up to 7 years and could impact your chances of getting approved for credit in the future. If you have applied for a secured personal loan, we may be forced to repossess the asset that you attached to your loan and sell it to recover the funds that you owe. Therefore, it is very important that you contact us as soon as your situation changes so we can come up with alternative payments arrangements that suit your financial capabilities. Ready to apply for travel cost loans? Our fast cash loans are perfect for covering any travel cost you may have. 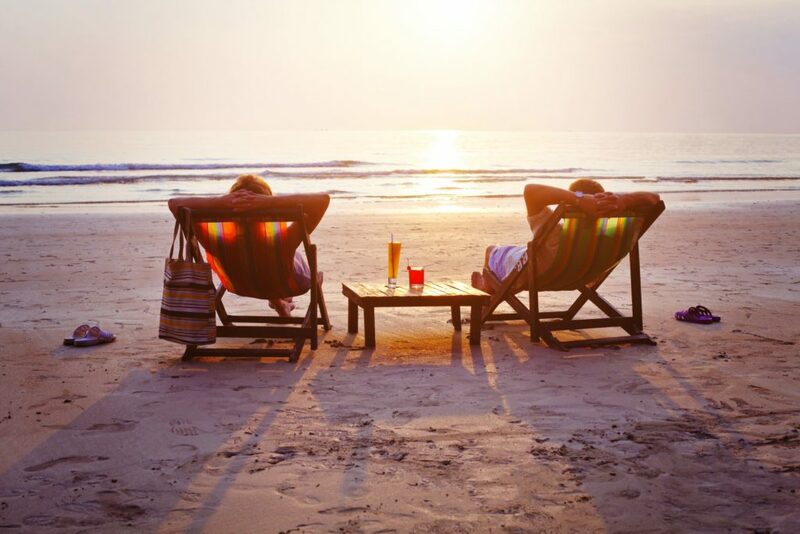 Whether you need help with your flights, you want to treat yourself to a nice hotel, got an itch to jump out of a perfectly good plane, got bitten by a monkey at the Monkey Temple, or you spotted a beautiful piece of cultural art that you MUST have, our cash loans could be difference between a stressful situation and relaxing, well-deserved holiday. Apply for our travel loans today and get busy planning that trip you’ve been dying to go on for years! Travel Cost Loans From Jacaranda Finance | Apply Today! Overall rating: 4.8 out of 5 based on 60 reviews.